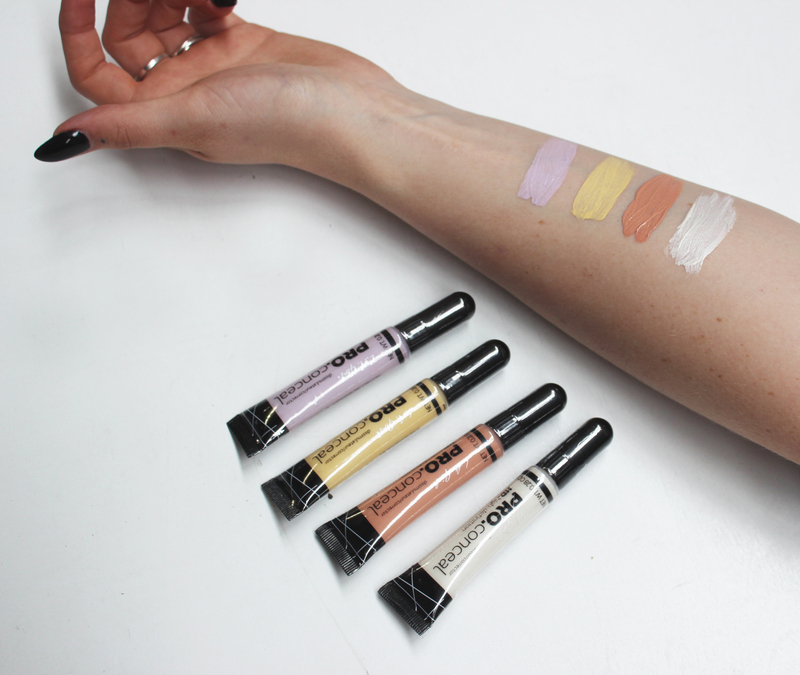 As you know I’ve always been a really big fan of the LA Girl HD Pro Conceal High Definition Concealers. I always recommend them to people looking for an affordable full coverage concealer. Therefore I was so excited to hear that LA Girl was released some more Colour Correction shades in their range and could hardly wait to try them. Peach Corrector – A lighter version of the popular Orange Corrector -conceals blue/purple undertones on fair skin tones and counteracts general dullness. Lavender Corrector – Neutralizes unwanted yellow undertones and sallowness. Light Yellow Corrector – Corrects dullness caused by blue undertones and brightens under eye circles. Highlighter – A delicate, pearlescent finish that illuminates your face with a beautiful glow. The coverage of the new concealers is amazing, just like the original HD Concealers and they are very creamy and pigmented to work with. I particularly liked the highlighter. I applied it after completing my makeup routine and it definitely illuminated beautifully. 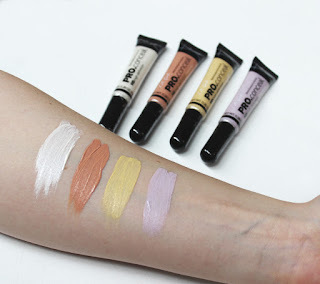 They are currently selling for $11.19 each so if you are new to colour correcting and/or looking for a budget friendly colour correcting choice I would definitely recommend you give these a try.